When you reach retirement age it’s always good to find something to occupy your time. And that’s exactly what 75-year-old Terry Lauerman did. 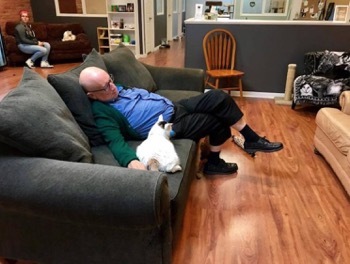 Being a cat lover he decided to volunteer at his local animal shelter, the Safe Haven Pet Sanctuary in Green Bay, Wisconsin. Little did he know this decision would make him an internet sensation. 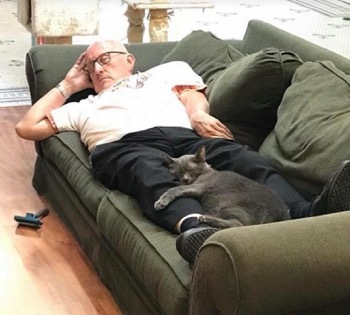 Founder of the shelter Elizabeth Feldhausen explains: “He just walked in one day and started brushing the cats, so eventually we told him he was an official volunteer and had him fill out our volunteer form.” Since then he regularly visits the shelter and takes an afternoon nap with the cats. 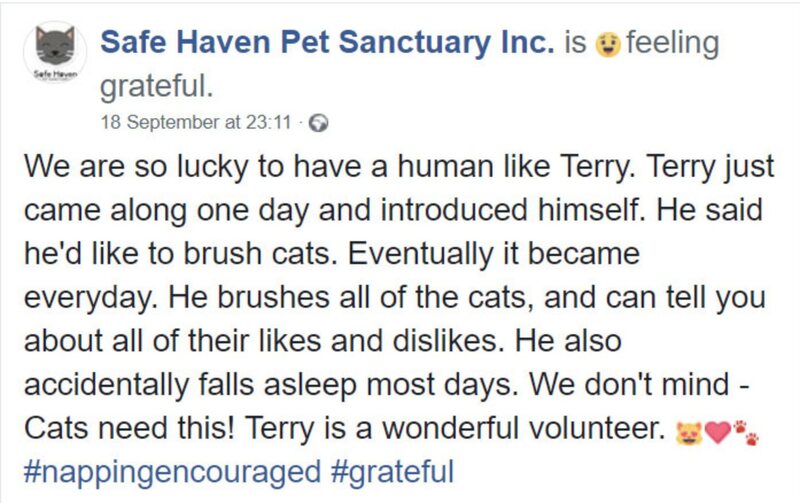 They loved what he did at the shelter and decided to dedicate a Facebook post to Terry and his adorable volunteer work, the post quickly went viral. 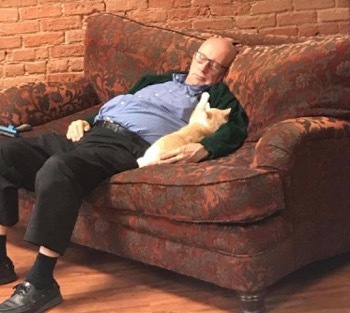 His name is Terry, and he spends every day brushing cats… and later falling asleep with them. Click here to what happened when a little kitten decided to jump out of a tree!